Dolly Parton received some help from actress Alyvia Alyn Lind during an epic announcement at Dollywood today! Hearing the familiar voice of “Little Dolly” in DP’s Celebrity Theater was quite a surprise for Dollywood visitors as well as the visiting members of the press. Actress Alyvia Alyn Lind joined Dolly Parton on stage and set the scene for one of Dollywood’s biggest announcements in the park’s history. 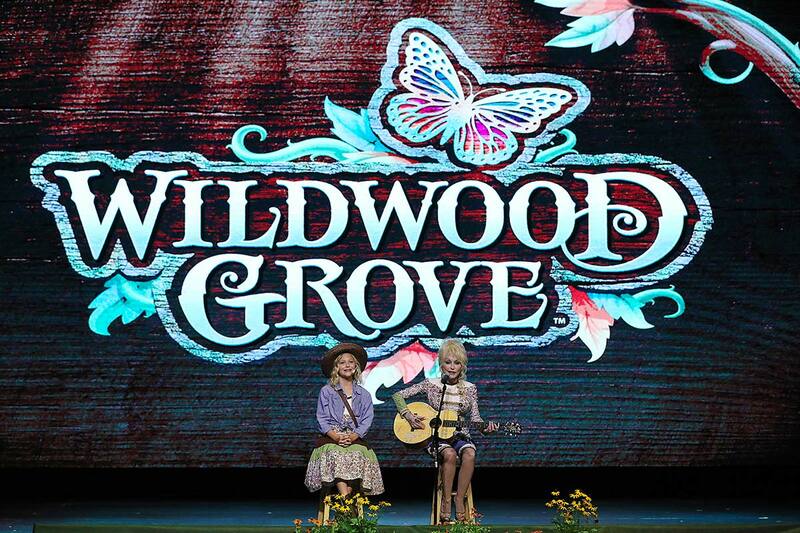 The Dollywood Company President Craig Ross echoed Dolly’s sentiments about how Wildwood Grove provides a range of experiences for every member of the family. Dolly and Alyvia closed the event with a beautiful performance of “Tennessee Mountain Home.” Alyvia Alyn Lind starred as Little Dolly in “Dolly Parton’s Coat of Many Colors” (2015) and “Dolly Parton’s Christmas of Many Colors: Circle of Love” (2016).